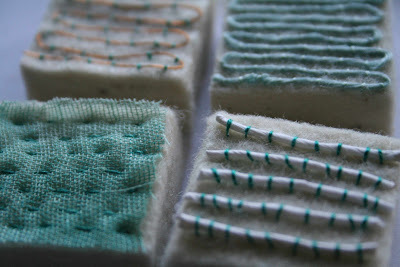 I've done lots of stitching this week and just don't want to stop! I'm so enjoying it. 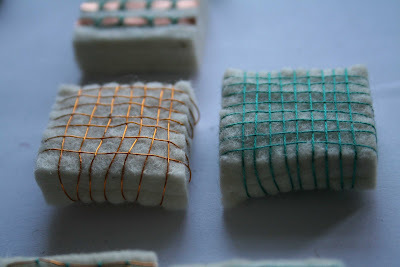 The industrial felt that I've managed to get hold of has made all the difference to this Green Solutions project. It is wonderful to sew into. I struggled for a while transferring my ideas from the paper based work that I'd so enjoyed to textile processes. 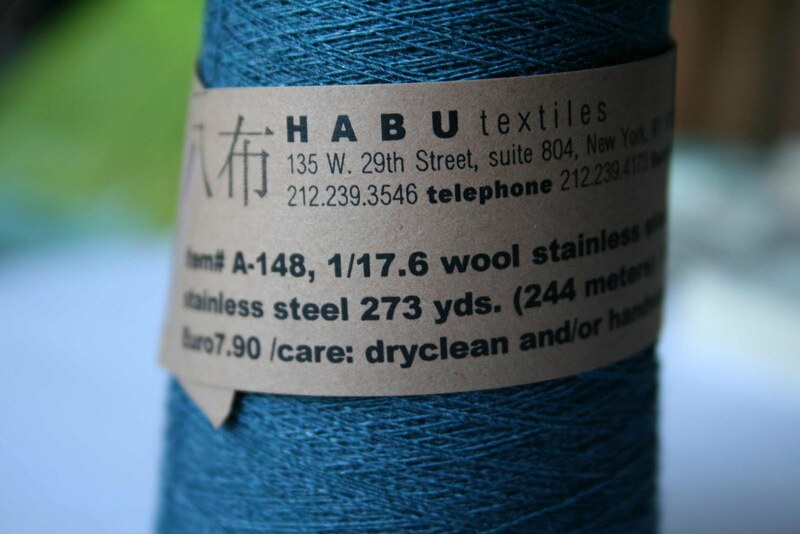 This project is very much about materials and bringing the right ones together: Right in the sense of sustainably produced and sourced ones and in terms of the 'look' they have and the combinations of hard and soft. When I visited the Knit and Stitch Show a couple of weeks ago (sadly a very brief visit this year due to all sorts of snowy adventures!) 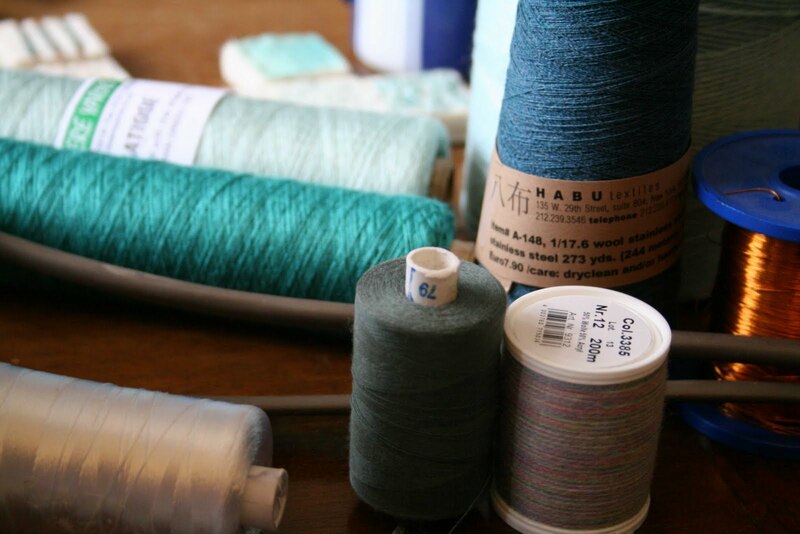 I made my customary visit to the Habu Textiles stand. 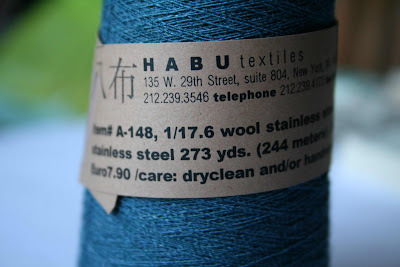 This is not done lightly: Their yarns are breathtakingly beautiful but the price reflects this! 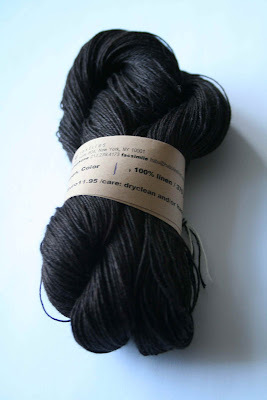 I chose this very dark brown linen and this lovely blue wool with stainless steel(! ), both with my green solutions project in mind. 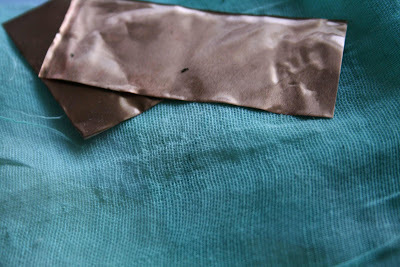 My colour palette has grown fairly organically from the one that I constructed at the beginning of term and is really dictated now by the use of copper in its polished form and in its verdigris form. I've cut the industrial felt into blocks, little repeated units, onto which I've stitched and embellished and added various experiments. Monday's crit has been cancelled so we now just have to have everything ready, finished and presented for Friday. This means a week of pulling things together, neatening up, mounting and updating. I started a little of this yesterday and was pleased with how things are starting to come together. I do still have small bits of making to finish though so I really must concentrate on those and then I can turn my attendion to the presentation of it all.